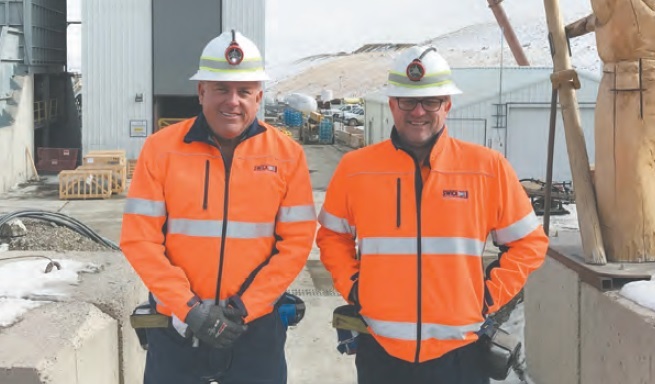 A drilling and mineral analysis company has revealed how it went from ‘Struggle Street’ to doubling its earnings in a little over a year. Swick Mining Services reported $9.5 million in earnings before interest, tax, depreciation and amortisation (EBITDA) for the three months ending on 31 December 2018, representing a jump of 109 per cent on the previous quarter’s $4.5 million. Revenue also rose 8 per cent to $37.7 million compared to the previous period. The company revealed the secret behind this improvement was a combination of shifting drill rigs to better performing contracts or new projects while, at the same time, cutting costs. It also benefited from higher rates for two of the company’s underground drilling contracts at Newmont Mining’s Tanami Gold Mine in the Northern Territory and Mt Charlotte Gold Mine in Western Australia. Swick is bidding for long-term contracts that are expected to be announced by April 2019. “The earnings rebound of our drilling business has continued and shows how we can unlock Swick’s potential when we target the right projects for the right clients and ensure we deliver value for money for our clients,” Swick managing director Kent Swick said in a public statement. The company has also established a deep exploration division called DeepEX, which will deploy two high-torque mobile drills before the end of January at Kirkland Lake Gold’s Fosterville Mine. “It is an interesting time in the drilling industry and, although there are signs on a macro level that exploration and mining investment may be improving, keeping our attention on servicing brownfield operating mines is what protected the company in the prolonged downturn and is now creating opportunities as our clients increase output to take advantage of reasonably solid metal prices and near record gold prices,” Swick said.